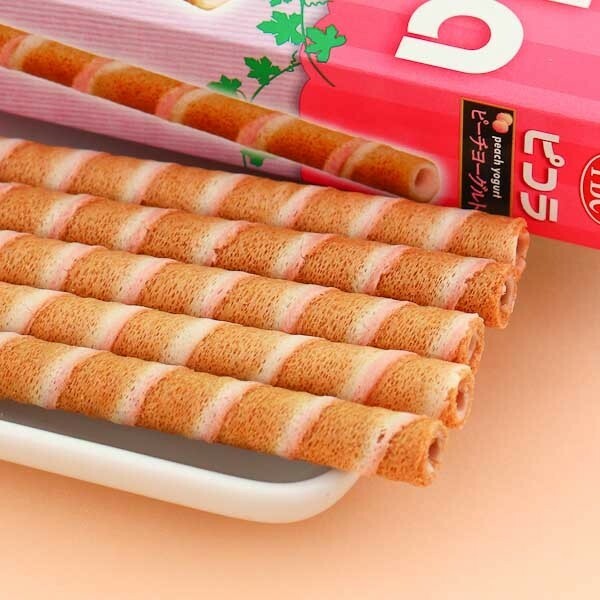 These yummy and crunchy egg roll biscuits by Yamazaki Nabisco are the perfect little snack for a break! The eggrolls have a crispy and light texture, and the inner side of the roll is covered with super yummy peach and yogurt filling. The box includes 2 packs of egg rolls, each with 6 rolls. 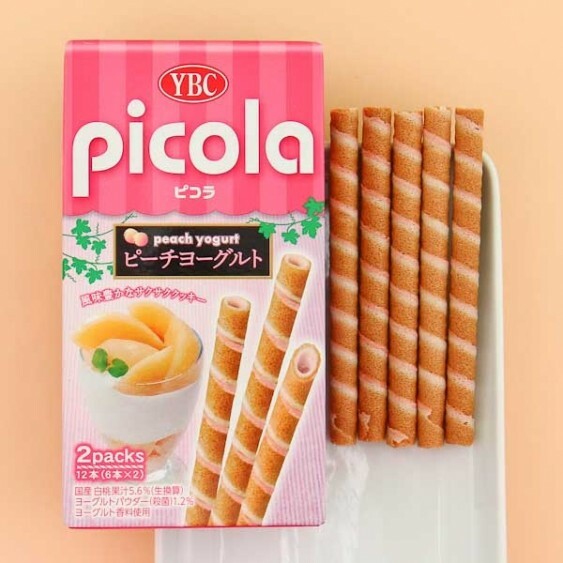 So sweet and tasty!